What happens when you bring together an auditory specialist, a Hispanic newspaper publisher, a games and simulation designer, a cognitive skills specialist, a neurosurgeon, and an educational entrepreneur? Not much, you might think. Well, we’re out to prove you wrong, oh doubtful one! Therefore, Eye2theWorld announces the formation of a special E2TW Consortium. It is charged with both advising us as per our direction and providing us with tangible assistance when possible. All of the members are very busy with their own activities. But they are demonstrating a common commitment to education and life long learning. Who are they? Check their biographical sketches below. 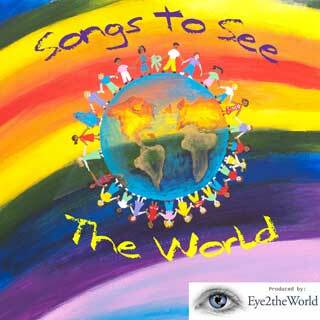 When we originated Eye2theWorld our goal was not to have an organization tailored solely to the gospel of “St. Joseph”. Rather it was to be an organization using the backgrounds, talents, and perspectives of many people to present a variety of ideas helpful as we move through the 21st century. Some of those ideas will be and have been presented in this Ezine; some are in books and other media that we recommend. We share a belief that there is no one road to a successful future; but that whatever roads are taken, they must be paved with life long learning. inspire and transform education as we shift into the technological worlds of the 21st century. secure funding for all schools so that all students have equal opportunity to learn. expose all students to cognitive training until they are able to function at grade level or above in all subjects. support or develop programs that allow all students to develop to their fullest potential by providing maximum cognitive, learning, emotional training and support in a positive environment. help individuals achieve their dreams and lead successful, productive lives in the world of tomorrow. Some might say statements such as these are like being “for motherhood” and “agin sin”. They may be right. But that’s how programs are started. You begin with very broad goals and then fit more specific objectives and detailed programs into them, always keeping our eyes on the prize. Do you have comments? Please let us know. 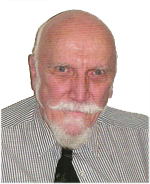 Joe Rueff is an educator with more than a half century of experience at all levels of learning, from pre-school through adult and community education. Programs related to innovative ideas for life long learning are in his blood. 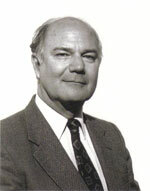 He’s been a teacher, a coordinator, director, lecturer, and founding presidents of four educational non-profits. He coordinated programs in both career and economic education and was responsible for program evaluation in the Elkhart Community Schools. Projects he has directed have received local, state, and national awards. In 1990 Joe founded the Learning Society, a local advocacy organization for life long education. 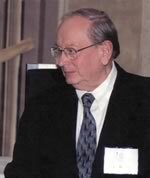 In 1991 he founded Views on Learning, Inc., (VOL) with support from a colleague Bob Hostetler, former CEO of CTS Corporation and subsequently president of several wireless cable television companies. VOL’s mission was to secure FCC licenses for educational television programming called Instructional Television Fixed Service (ITFS) in conjunction with wireless cable companies. From 1991 to 2005 VOL secured 22 licenses nationally and became a leading company in the industry. Currently it is moving into the broadband internet arena. Joe was founding President of the Indiana Distance Learning Association in 1999 and remains a member of its Board of Directors. Recently Joe left VOL and has founded Eye2theWorld. It is built upon the basic ideas central to both The Learning Society and Views on Learning. Rita Zimmerer has a list of accomplishments that could fill more than one of our pages. Let me summarize some of her outstanding achievements here. She is the Founder and CEO of Twinlights Studios Ltd. Twinlights Studios developed the first Interactive Video Training Product, which has been defined as the most innovative training product in the last twenty years. 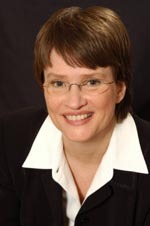 Ms. Zimmerer is a recognized international expert in the gaming and training industry. Throughout her career she has led start-up companies to international recognition through successful launches of innovative and top-selling digital products. She has held multiple senior executive positions in the video industries and interactive electronics. She has authored, produced and marketed over hundred-fifty video games and PC products winning multiple awards in the gaming and toy industry. She spent ten years in Corporate Management where she developed expertise in business operations, development on all digital platforms, product research and development, production, sales, sales management, marketing, promotional advertisement, licensing and distribution. She has been demonstrating an excellent sense of content, creativity and cultivated marketplace instincts. Dorinne S. Davis is the President and Founder of The Davis Center, Rockaway, NJ. She is an Educational and Rehabilitative Audiologist with 30+ years experience. Dorinne earned her Bachelor’s degree in Speech & Hearing and Speech & Drama; then a Master’s of Audiology / Deaf Education, both at Montclair State College, NJ. She is certified in Speech Correction, Pre-school Education, Speech & Drama, Teacher of the Hard of Hearing, and Supervision by the NJ Department of Education. 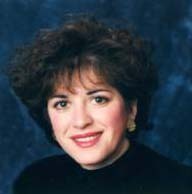 She is licensed as an Audiologist in NJ, NY, and PA.
As an international lecturer in the field of hearing education, Dorinne has received outstanding awards and honors, which include recognition in over thirty Who’s Who publications. Her conference presentations are in high demand by many professional and civic organizations, as well as parent advocacy groups. Dorinne not only provides audiological consultation to diverse medical professionals, she implements cutting edge alternative therapies. Dorinne articulates the affects of sound on the body during a recent interview with New Visions Magazine (2/2000 issue). 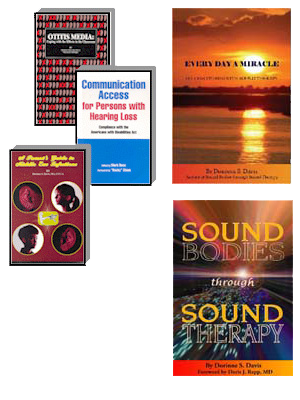 Dorinne has a variety of published works and is the author of three books, the primer of sound-based therapy, “Sound Bodies through Sound Therapy”, the highly acclaimed “Otitis Media: Coping with the Effects in the Classroom”, and “A Parent’s Guide to Middle Ear Infections”. Additional publications include a chapter on Television Amplification Devices in “Communication Access for Persons with Hearing Loss”, edited by Mark Ross, and numerous professional articles. In the field of Sound Based Therapies, Dorinne is a certified practitioner in Berard Auditory Integration Training (AIT), Tomatis’, Fast ForWord Language®, Fast ForWord Language to Reading®, Fast ForWord Middle & High School® (and all other Scientific Learning Programs), and is a BioAcoustic Research Associate. She is a certified provider for The Listening Program® and is also trained in Read-Spell-Comprehend®, Samonas®, Interactive Metronome®, Earobics®, Lipreading, and Aural Rehabilitation. Every Day A Miracle: Success Stories with Sound Therapy. Zulma Prieto was born in New York but her family is originally from Colombia, South America. She was raised in Colombia and Spanish is her first language. She attended Universidad Nacional de Colombia, where she finished her Philosophy and Humanities studies. She holds a Masters Degree from the Associated Mennonite Biblical Seminary on Peace and Justice Studies and an Indiana Teaching License with a minor in ESL. Zulma is married to Jimmer Prieto and they have two children Yizzar and Zuleyja. In 1990 she came back to US and in 1992 she founded El Puente, the First Hispanic language newspaper in the state of Indiana. Peter Kline is the author or co-author of The Everyday Genius, Why America’s Children Can’t Think, School Success, The Genesis Principle, The Butterfly Dreams, Ten Steps to a Learning Organization, and the forthcoming The Shakespeare Mysteries. He is the founder of Thornton Friends School, has authored a highly successful reading instruction program and is now working on a mathematics instruction program. He has been working with accelerated learning in schools, corporations, government organizations and in private tutoring situations since 1972. Peter’s work in cognitive development is at the forefront of efforts to merge the latest theories in brain development with educational psychology. This is an imperative move if the advances in neuroscience are to have an impact on instructional programs.